A royal kidnapping... A hidden child... Which handsome gondolier is actually the true King of Barataria? 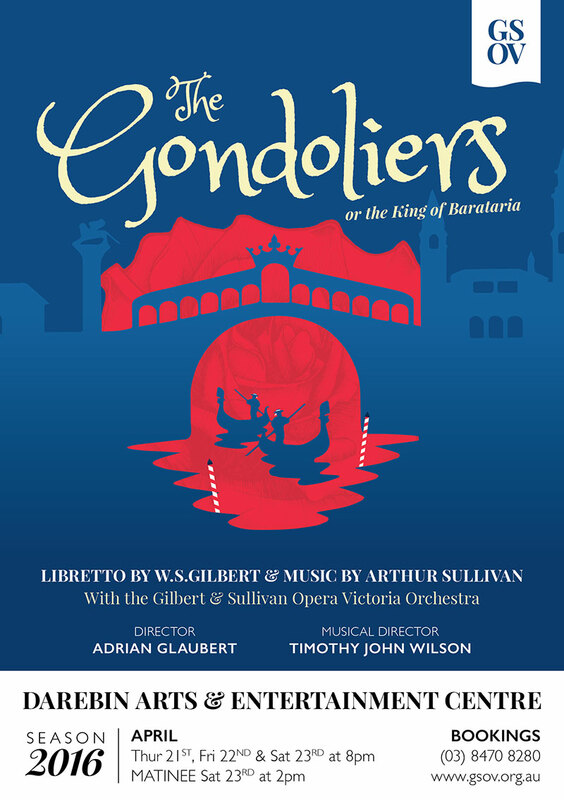 GSOV presents The Gondoliers: one of William S Gilbert's & Arthur Sullivan's most entertaining and enduring collaborations, filled with toe-tapping tunes, fantastic dancing and romance aplenty in a far off sunny isle. GSOV's latest production is a timely and witty reflection on the values of Monarchy and Republicanism and features seasoned performers from the worlds of opera, musical theatre and classic dance. A standout show from a much loved and venerable organisation, an effervescent event not to be missed! Matinée: 1 child free if accompanied by a full price adult. Transaction fees apply - $3.50 online, $4.90 over the phone. We accept Companion Cards, please call the Box Office on 8470 8280 to make your booking. In combination with Indiegogo, GSOV has launched a crowd funding campaign in support of 'The Gondoliers', we encourage you to support GSOV. 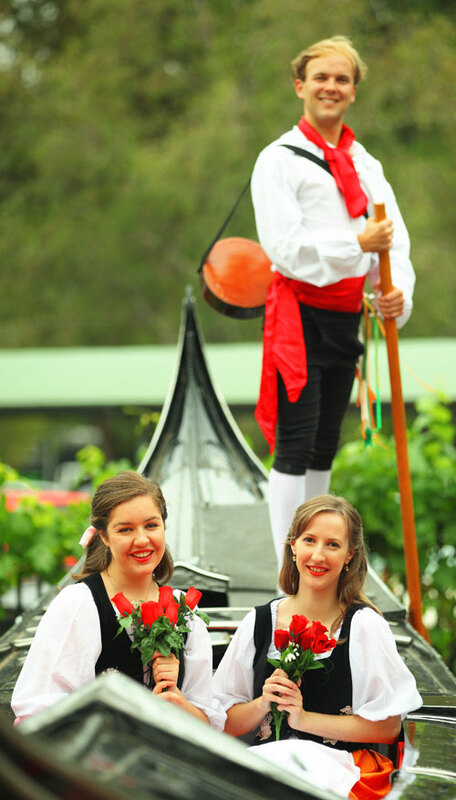 Your contribution will help make The Gondoliers not only the great success it deserves to be, but look at ensuring the longevity of GSOV, a well-established performing arts organisation in Melbourne, Victoria which has fostered the love of operetta and G&S in Australia for many decades. Gilbert and Sullivan has so much to offer modern audiences. The clever and witty social commentary has as much relevance today as when it was written, and the music is complex, tuneful and undoubtedly memorable. It appeals to all ages and is ideal family entertainment at an affordable price. It also is an avenue for our opera students and newly graduated performers to hone their skills and gain experience in high quality productions before launching their careers. We are currently planning to broaden our reach to provide social engagement across demographic and cultural boundaries. GSOV welcomes performers of all ages. There's lots of scope for principals and those who just want to be part of a theatrical experience in the chorus or as part of our stage crew. GSOV helps foster Australian performing arts talent, through professional standard productions. Many performers go on to work professionally within the opera and music industry in Australia and internationally for organisations including, Opera Australia and Victorian Opera. GSOV offers a financial scholarship to young performers to assist them in their artistic development. GSOV maintains an enormous library of G&S and other musical scores, books, CDs, DVDs and other resources.